Millions of years ago the present-day Front Range was home to ancient mountain ranges, deserts, beaches, and even oceans. 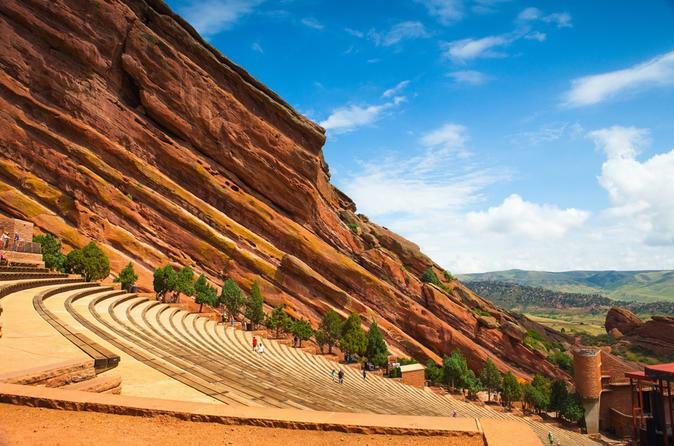 - Get your first taste of the Rockies as you enjoy views of the great plains and the Rocky Mountains from Red Rocks with an amazing view of Denver. - Millions of years ago the present-day Front Range was home to ancient mountain ranges, deserts, beaches, and even oceans. - Take a break at Lookout Mountain along the way and have some ice cream and see the view that reaches all the way to the airport with amazing views of the plains and the continental divide. The place where Buffalo Bill Cody is buried and has a fantastic museum.